What needs to be ascertained? Find out how long this has been going on for, if there were any particular triggers, and ask for more detail on the specific behaviours that are concerning the mother or other family members. Ask Tom, in his own words, what ‘becoming a girl’ means for him. Establish both the mother's and Tom’s expectations from the consultation and what their understanding of gender identity is. Does the child have a normal developmental history, or any other comorbid diagnoses (such as learning disability, autism, or atypical anatomy)? Determine if Tom has siblings, other biological or step-parents, close family members, and gently ascertain whether they are supportive. Does the family already have any contact with social services? Is the child particularly vulnerable (for example, has pre-existing safeguarding concerns, or is a looked-after child)? Remember patients may come from families or cultural contexts where gender roles are rigidly, or even violently, enforced. Rates are extremely high in children with gender identity concerns. If Tom is distressed, it is important to find out the level of distress, whether he has thoughts of self-harm or suicide, and whether the distress is specifically about his gender/body or if there is something else going on (for example, bullying or difficult family relationships). Are there any other risk behaviours such as drug or alcohol abuse, or unprotected sexual activity? Does Tom have any symptoms or signs of puberty? This affects the urgency of the referral to the specialist services. If puberty has started, both a referral to the specialist clinic and the local child and adolescent mental health services (CAMHS) needs to be urgent.3 Pubertal changes (for example, menarche or voice breaking) may sharply increase the level of gender-related distress a child is experiencing. Depending on the level of distress, a referral to both the local CAMHS service and specialist gender identity development service (GIDS) should be urgent. If Tom is suicidal, self-harming, or extremely distressed, an urgent referral is warranted. If the child is not suicidal, then a routine referral to CAMHS is warranted as ongoing psychological support will be required. Determine the attitudes of the parents or guardians regarding referral to specialist gender services. Refer to GIDS if appropriate; where further decisions about management and intervention can be made (see Box 1). In general, GIDS will only accept referrals for patients with identified risk behaviours if there is already local CAMHS support or a CAMHS referral. Imperial College London is grateful for support from the NW London NIHR Collaboration for Leadership in Applied Health Research & Care. (2007) Transgender youth and life-threatening behaviors. Suicide Life Threat Behav 37(5):527–537, doi:10.1521/suli.2007.37.5.527. (2012) Supporting transgender children: new legal, social, and medical approaches. J Homosex 59(3):422–433, doi:10.1080/00918369.2012.653311. (2016) Gender variance. 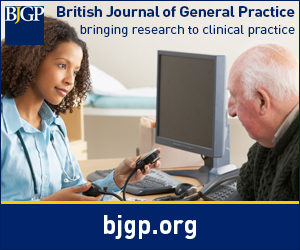 accessed 30 Aug 2017. http://elearning.rcgp.org.uk/course/info.php?popup=0&id=169. (2002) The heritability of gender identity disorder in a child and adolescent twin sample. Behavior Genetics 32(4):251–257, doi:10.1023/A:1019724712983. (2012) Minding the body: situating gender identity diagnoses in the ICD-11. Int Rev Psychiatry 24(6):568–577, doi:10.3109/09540261.2012.741575. (2016) Mental health of transgender children who are supported in their identities. Pediatrics 137(3):e20153223, doi:10.1542/peds.2015-3223.